Every dentist wants to develop a strong presence in the exciting and profitable world of Dental Sleep Medicine. We have all heard the stories of phenomenal success some dentists have in treating patients for Obstructive Sleep Apnea. This article will provide you with the solutions to your questions and get you excited about incorporating Dental Sleep Medicine (DSM). into your Dental Practice. This is a huge winner for your practice, for you, for your team, and for your patients. 1. Acquire New Patients- lots of them. You will be sought for your unique professional dental service. Awareness of sleep apnea in America is at an all-time peak. The fires of awareness are being stoked by the public media and by social media. Patients are understanding and becoming increasingly more concerned about the blockage of oxygen to their brains and to other organs. Strokes. Heart attacks. Diabetes. Dementia. People are recognizing that they have the symptoms and are asking their Dentists about it. 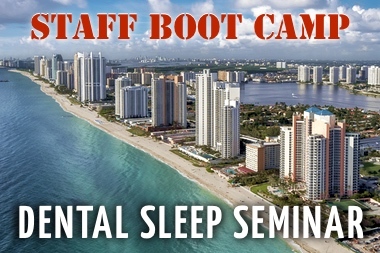 When people learn that you are “The Sleep Dentist” or “The Snore Clinic”, and you can help them, they will call you. “Build a field and they will come.”( from Field of Dreams.) Your New Patient flow will increase. With the new patients come new needed services. People who are health conscious and are concerned about their sleep disorder will be equally concerned about their oral health. You will enjoy new opportunities to help your new patients. We know that this dental practice “niche” has quickly evolved into a full time “specialty” for energetic, dedicated dentists. The revenues generated from sleep services are impressive. I’m sure you understand that now, more than ever, you need to stand out and be able to offer not only EXCELLENCE, but also DIFFERENCE. In this sluggish economy, where there is a perception of “financial doom”, (I personally don’t believe in that. ), dental consumers have a tight hold on their wallets, and reports of dental service acceptance show a concerning drop. With DSM you will offer a unique dental/medical service. What are YOU doing now to offer a unique service? Your First Class Service and Patient Engagement are expected as basic “givens”. But what is your niche ? Are YOU the dental practice they must go to? According to a Harvard health report there are 18.9 million undiagnosed cases of obstructive sleep apnea and 40% (1.3 million) of CPAP users are non-compliant. So that alone conservatively projects 20.2 million victims of obstructive sleep apnea who may be helped by a dentist trained in Oral Appliance Therapy (OAT). One of the basic human needs is to feel significant. It is a personal reward we can give ourselves. We dentists enjoy a lifetime of helping our patients. Caring for people is one of the driving forces that made us choose this career. It makes us feel good to know we are helping people to avoid pain, eat healthier, and feel more confident about their appearance. That is all great. But how does it compare to the feeling of saving a patient’s life? When you know you have taken patients who spend half their night’s sleep without oxygen going through their airway and to their brain- and you have corrected their life threatening disease, how does that make you feel? Significant! You will be seen as a hero. All team members will know, as you know, that they are steps above the dental community in truly providing comprehensive health care. Studies show that 34 percent of the American public have symptoms of sleep disorder. That means that one of every three people that you currently treat and of those that are new patients, are there for you to help them. Your team members will be perfectly positioned to help their family, neighbors, and new friends. According to a Harvard health report there are 18.9 million undiagnosed cases of obstructive sleep apnea. On top of the emotional rewards that your team members receive, they are contributing to the financial success of your practice. DSM is over 80 percent staff driven and you may feel they deserve to share rewards with you. DSM in a practice can build quickly and strong.Your employees make valuable contributions to its success and have the good feeling of being needed. By the same token, you will know that they are critical to your success and would not want to lose them. Like you, your employees enjoy the feeling of “making a difference”. Everyone needs to feel significant. It is a personal reward we can give ourselves. Caring for people is one of the driving forces that made your staff want to be a dental professional. When they know they have taken patients who spend half their night’s sleep without oxygen going through their airway and to their brain- and they have contributed to correcting their life threatening disease, how does that make them feel? Significant! They will be seen as heros. 1. Your patients will now have a convenient and caring source (you) that can discover and treat that serious disease- Obstructive Sleep Apnea- that wakes them up all through the night and diminishes their quality of living. 2. They will understand that trained dental professionals are the best source for discovery of Obstructive Sleep Apnea. They will spread the word – referrals. 3. They will know their dentist will be able to offer them the most comfortable and popular treatment for OSA- the Oral Appliance Therapy. (OAT). 4. They will be delighted that Medicare and their private insurance, in most cases, will pay for the OAT. 5. Your patients will sleep better, feel better, be healthier and live longer. “Why is THIS the best time for me to learn DSM? Dental Sleep Medicine: the hottest button in dentistry today. The word is out! If you did not get one new patient coming to your office because of your new magnet (DSM) you could keep a schedule filled with your existing patients. Studies show that 34 percent of the American public have symptoms of sleep disorder. That means that one of every three people that you currently treat ( aside from those new patients that hear about you), are there for you to help. According to a Harvard health report there are 18.9 million undiagnosed cases of obstructive sleep apnea and 40% (1.3 million) of CPAP users are non-compliant. So that alone conservatively projects 20.2 million victims of obstructive sleep apnea who may be helped by a dentist trained in Oral Appliance Therapy (OAT). Is there any better opportunity today in dentistry? -What is the difference between dental and medical codes? -What is Durable Medical Equipment and how does that apply to us, as dentists? -What documents do I need for successful medical insurance processing? -What do I need to know about Medicare? Success in treatment acceptance and end point attainment varies with, and depends upon, each individual dentist’s determination and his/her patient’s cooperation. The training programs will present the tools, the use of screening and diagnostic equipment, the techniques, the verbal skills, etc., but as in other health-care therapies, a partnership between the professional provider and the patient is the key to success. The patient’s cooperation is essential. Take periodontal disease therapy (STM or CPT), for example: The dentist and hygienist will remove the disease, teach the patient how to maintain periodontal health, and then monitor the patient’s progress for the patient’s lifetime. Sleep apnea can be considered an episodic disease like periodontal disease, diabetes and cardiac disease. For these there is no cure; only a lifetime of care to keep these diseases under control. Failure of patients to comply will result in an episodic return of the symptoms in any of these cases. Compliance will keep them under control. With Obstructive Sleep Apnea a patient must continue compliance with the treatment to prevent a recurrence of the symptoms So that explains the patient’s role in the “partnership for success”. If you are interested enough to have read this far, you have already started. To succeed in DSM you must have passion for helping people and excitement for being at the forefront of a new medical/dental science. With only 4% of dental practices qualified to offer these services, you can be proud to be a medical/dental pioneer. 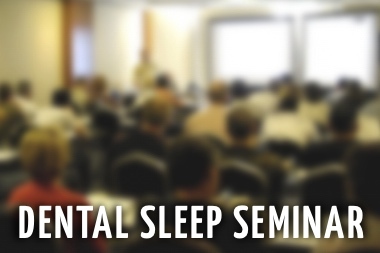 The introduction for your education is to attend a Dental Sleep Medicine course. There you will learn all the basics. 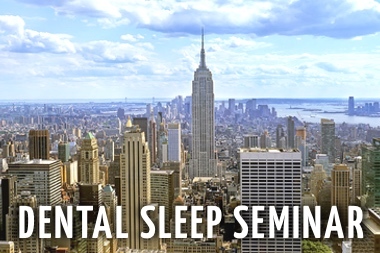 Sleep Group Solutions presents two-day dental CE courses every weekend in two different cities. 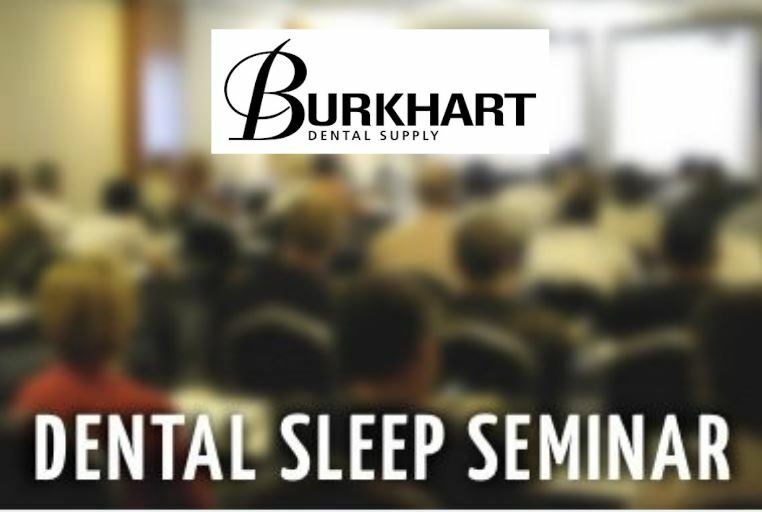 The “Introduction to Dental Sleep Medicine” covers all aspects “from A to Pay”. 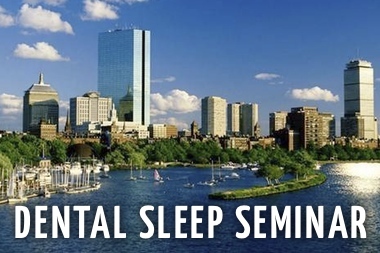 You will learn the mysteries of the science of sleep, a functional protocol for screening and treating patients, how to find patients who need your services, the various dentist sleep apnea oral appliances and how to monitor their efficacy. and billing benefits with medical codes. Oral appliance therapy (OAT) is the most convenient and preferred therapy for the mild and moderate cases and for those patients who cannot tolerate the CPAP device. Fortunately, this is where The Dentist rides in on a white horse to the rescue. 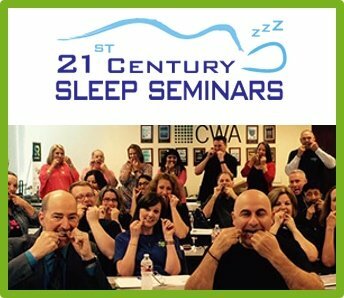 We dentists, like to say, we are on the front line of the battle against sleep apnea. Dentists are in the optimum position to see the signs and symptoms and can offer the most preferred solutions to the problem.. In the words of the Great Master Yoda, in the classic Star Wars movies, “There is no ‘try’; there is only ‘do’ or ‘do not’.” Get the dental sleep medicine training now! A dentist must be 1000% committed to success. (Anything we endeavor will be more likely to be achieved when we are positive that we will win.) The seminar training is only the beginning of the learning process. We must retain what we have learned, continue to study, to research all new ideas, to accept experienced coaching and to practice our treatment plan presentations with our teams. Everyone on the team must be skilled and committed. 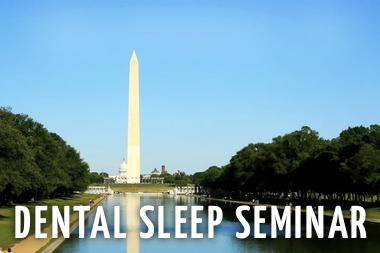 Dental sleep medicine training, although essential, is not the end of the process. 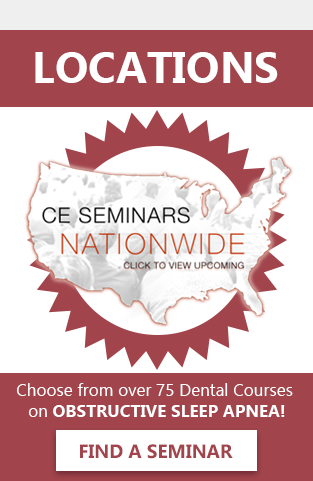 Keep up with Continuing Dental Education.